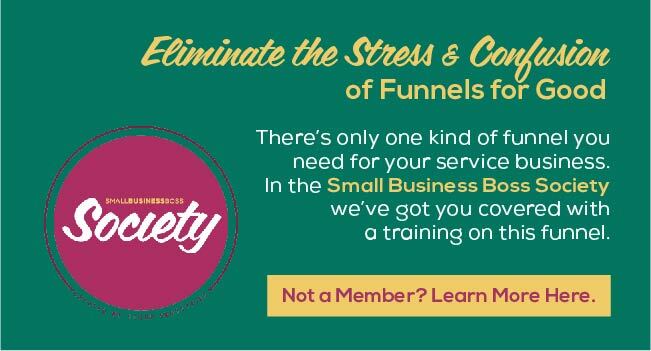 If you have a services business, you may think you don’t need a funnel. 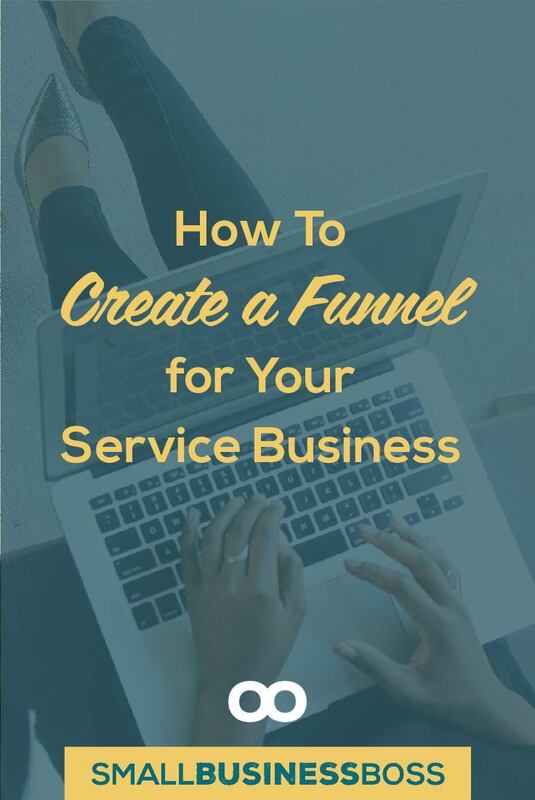 But you can totally use a funnel to help you book your services. In this episode, we’re going to share how to get started with a funnel. If you’ve been online at all you know funnels are hot. And you may be trying to ignore them, but funnels are essentially a sales or lead nurturing system – and they are nothing new. 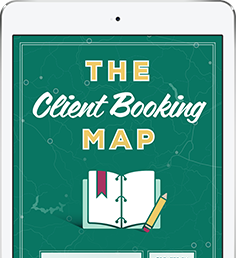 We’re wrapping up the Sell Your Services series with one way to get more consults on your calendar. Now, we are going to say upfront that this is episode is really for those who already have an email list and an opt-in on your site. Or, you have a lot of website traffic because basically, this is a numbers game. 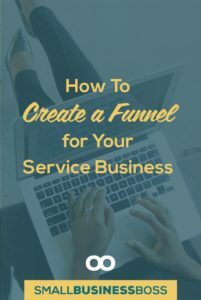 Setting up a funnel can be a lot of work and if you don’t already have either of those, it may not be the best tactic for you. 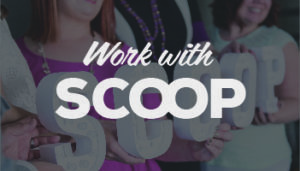 This is a golden opportunity to woo people, especially if you have even a handful of people opting in because you know they are already interested. Engage with them and get them to know, like and trust you. The opt-in absolutely needs to have a clear connection to your services. 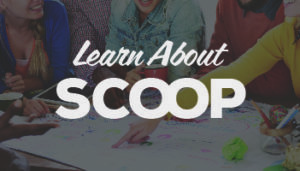 For example, on the Scoop Industries website, the storytelling shortcut leads directly to the Story Distillery product. Email service provider (if you have an opt-in, you are obviously already going to have this). Some we like are MailChimp (which is free), Constant Contact, and InfusionSoft but ConvertKit is our favourite. In fact, we have a ConvertKit free trial if you want to check it out. You need a plan for your emails (5-7 of them), with a clear idea of when you are going send them. Include a calendar scheduling link in your emails. Some we like are Calendly and Acuity. Finally, you need a place for your opt-in to live. We suggest a landing page or opt-in box software like PopUp Ally (our favourite). And, if you’re thinking wow- this is way beyond me, don’t despair. You can still use a type of funnel. A low-tech funnel – even a contact form that sends messages to your inbox — and you actually follow up with them — is a very simple non-automated funnel that can help you sell your services. Just make sure you have it mapped out so you know when to follow-up next. If you want to follow up on anything we talked about, check out the links below and tell your friends about us! 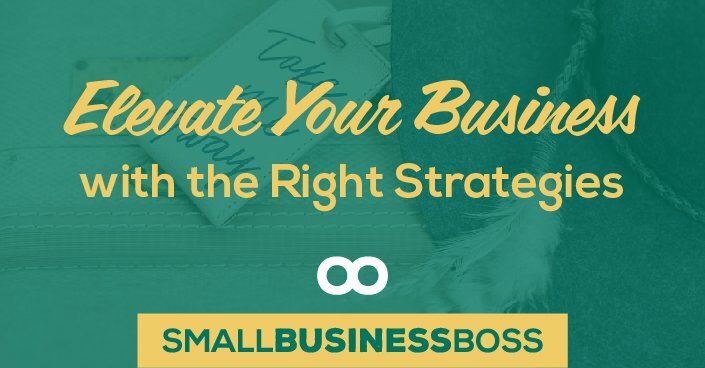 If you are looking for email providers, some we like are MailChimp, Constant Contact, and InfusionSoft but ConvertKit is our favorite. Check out our ConvertKit free trial! If you are looking for a good scheduling software, we like Calendly and Acuity. A great opt-in software to check out is PopUp Ally. 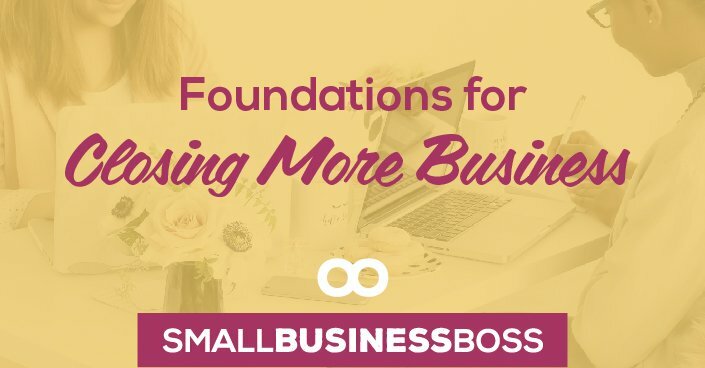 If you want to learn more about setting up a client booking funnel, check out this training, and so much more, available through the Small Business Boss Society. Pricing Strategy: How Should You Price Your Services?